In the 5 years I have been writing this blog I have heard of some ridiculous uses for DRM, including printer ink cartridges, a car battery, and even coffee pods, but today I learned of a new use for DRM which makes all previous examples seem sane in comparison. I'm usually very good about ordering a bunch of granules and cleaning solution. But one Friday evening, I found the CatGenie beeping, asking for more SaniSolution brand cleaning solution in SmartCartridge form. Unfortunately for me, I didn't have any new ones, it seems I accidentally put a used one up on the shelf and I thought it was full. I took the SmartCartridge and realized I could just open it up, and fill it myself. Great, I'll order new ones and get it by Tuesday and I'll just fill this one up with water for now. So I filled it up with water, and put it into the machine…. It didn't stop beeping, it knew this wasn't it’s SaniSolution. Somehow it knew. I wasn’t able to even force it to run without the solution. I did some Googling, and I found that the “Smart” in SmartCartridge is that it has an RFID chip inside of it to keep track of how much solution it has, and once it runs out, well, you can't refill it. I honestly did not believe this and tore one of the cartridges apart, and there it was, looking back at me, a tiny chip holding up it’s little metal finger. CatGenie has been making their litter boxes since at least 2007, so this isn't a new outrage. And luckily CatGenie's popularity and seven years worth of sales has resulted in an active hacker community, so the DRM is not that difficult to bypass. I've made similar points about ebooks, but never has it sounded so ridiculous as when it is applied to a cat's _litter_box_. What's next, will CatGenie integrate the DRM into cat food so that only its brand of cat food will be scooped up by the litter box? Don't roll your eyes at me; it's the next logical step, and would you really want to bet someone isn't trying to engineer such a type of DRM? You will have to buy DRMed cats from them is the next step after cat food. 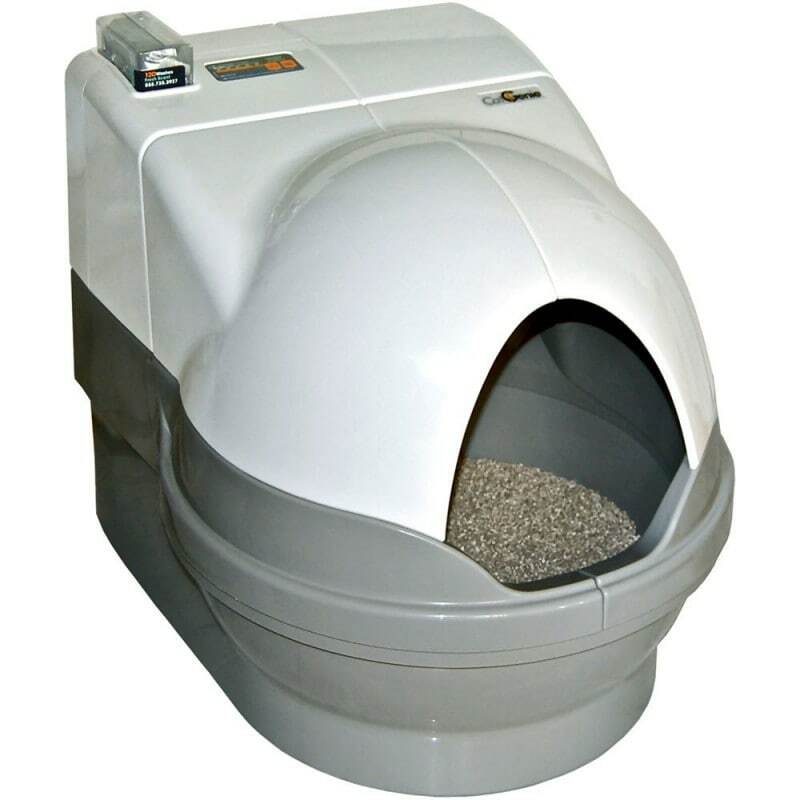 DRMed litter box shows that crazy companies are just trying to grab every penny they can get from us. The only answer is to say no and buy somewhere else. Heh. We may joke but I remember reading years an SF story years ago which included details just like this. Oh, so next you’re going to be bashing my new DRM toilet paper holder, Paymore Wipe. Is that the one that takes Uber’s idea of surge pricing and applies it to toilet paper? PS I wish I could DRM my garden. It will get much much worse. Apple’s lighting cables authentication for example are just that and accessories that need to be identified as “original” but others will do the same and they’ll put a 30 cents crypto chip in everything so they can get a cut from greatly overpriced accessories. And ofc all major SoCs now have hardware DRM , marketed as a security feature. In the end, too many fights to be fought and we can’t win unless we go after what corrupts our politicians. Actually, I don’t think we have much to worry about with cables specifically or mobile devices generally. A lot of mobile devices these days are designed and made by OEMs which have different interests from the company with the brand on the box. Those OEMs are more interested in lowering costs, and if they can cut costs by not including a DRMed cable then they will. What I was trying to say was that I don’t expect this to spread beyond Apple. Just watch, you’ll end up with phone cases with DRM that cost 3 times more. I’ve mentioned this because it’s actually a nascent trend that most are not aware of , chipmakers are just now starting to push their solutions and i am pretty sure we’ll see some big names going there very soon. ofc they will market it as a security feature. (not gonna name names since it would be just a guess but i have some ideas). Hell even the SIM card itself can be seen as carrier DRM, it serves the same purpose ,to restrict the consumer’s freedom.You don’t actually need a SIM card ,it’s only purpose is DRM like. And then biometrics are taking off, they’ll restrict products to the person. And don’t think it won’t go that far, things always go further than reason if we let them. Nothing like the smell of wet cat litter in the morning. What’s next? A built-in bidet? I have four dogs and one cat. I never have to clean the cat litter.